Respected Australian Solar PV company, LJW Solar has released a new high-quality solar panel, which promises to take full advantage of the Australian sun and maximise output. LJW Director, Luke Williams, has been in the solar industry for over 25 years and notes that the majority of the systems currently available in Australia, all manufactured overseas, are not designed with the Australian customer or Australian conditions in mind. With 2633 hours of sunlight per year and an average of 7.2 hours of sunlight per day, the systems currently available do not reach a high out-put efficiency in such a hot climate. “On any given day in Sydney the temperature can reach 25 degrees very quickly and in the summer months this figure escalates drastically. A standard system will operate at approximately 70% efficiency, however on a similar day we would expect that our panels will be operating at well over 80%,” says Mr Williams. Mr Williams was eager to provide his customers with a product that was suitable to the Australian climate and that was also of a significantly higher quality. 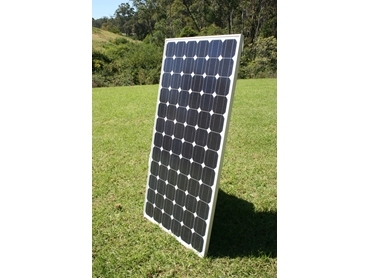 He believes that the biggest difference between LJW Solar panels and other models is their temperature efficiency. In their decision to approach a boutique manufacturer in China in mid 2009, LJW Solar made it a priority to align themselves with a company that was driven to produce excellent products and that understood the need to design solar panels that specifically suited the Australian customer. LJW Solar kept a close eye on all manufacturing aspects, and as a result, these new solar panels exceed stringent Australian and international standards. “We encourage customers to come into our office and see for themselves the difference between standard panels and our new product,” says Mr Williams. Launched in early 2010, Mr Williams and his team of solar experts have to date installed over 300 of their new solar panels and have received praise from customers who have chosen this trusted brand.